There are certain beauty brands that you grow up with and there are some brands that always stick with you. For me, GOSH is definitely one of them. I pretty much grew up in Superdrug, I would spend ages looking at the make-up displays after school and I vividly remember being amazed by the GOSH eye shadow colours. Fast forward quite a few years and GOSH is still surprising me. Although my beauty knowledge has hopefully improved since my early teens, it is really lovely to watch a beauty brand grow and give you a feeling of nostalgia. 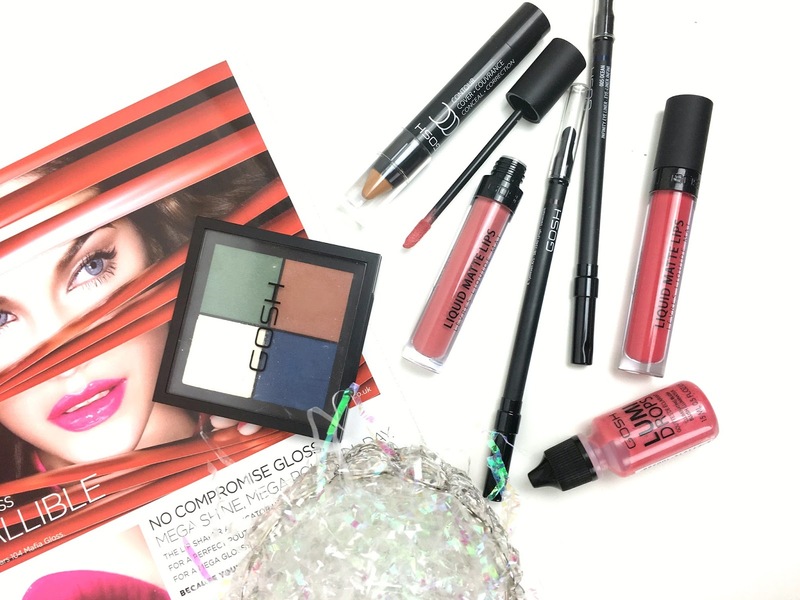 I was lucky enough to be invited to their S/S 2017 launch but unfortunately I was stuck in a hospital bed but the lovely Sophie was kind enough to send me the new products to test. After opening the package, I was instantly drawn to the GOSH Eye Xpression eyeshadow in the shade Urban Nature 003. The blue and green shades were certainly out of my comfort zone but the formula was very easy to blend and this makes the palette incredibly wearable. The lighter shade is perfect for highlighting your brow bone, nose and cupid's bow - this is definitely how I use every light coloured powder at the moment! Looking at the overall colour range of the collection and in particular, the palette, I think the shades are warm and earthy without being too harsh. I actually filmed myself opening the products for a YouTube video, it is on my to-do list to edit this week and the GOSH eyeshadow swatches looked great on the camera. 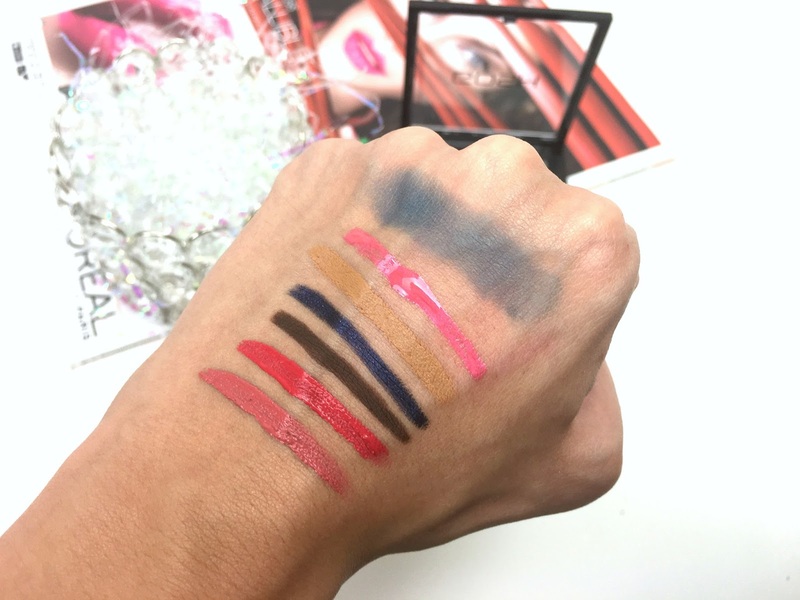 I found the GOSH Liquid Matte Lips really complemented the eyeliners and eyeshadow palette without looking too intense or bold. I loved the matte texture and the shades Pink Sorbet and Red Carpet are certainly everyday colours - very Kylie K inspired without the price tag! 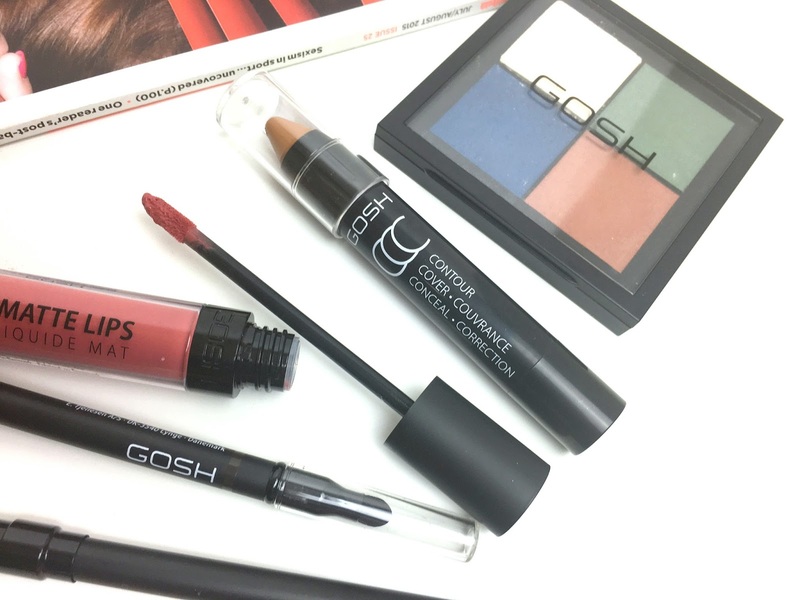 Another product that really stood out to me from the collection is the GOSH CCC Stick in Medium 004, I have used quite a few contouring sticks but I found that the GOSH version is much easier to use. The thinner size is a simple to control compared to the thicker sticks that I have previously tried. I found the formula easy to blend once I had warmed the tip up but of course, the process is obviously a lot easier when you use a damp sponge. Perhaps most striking is the copperhead snakeskin strap, fashioned with a stainless steel silver-tone buckle. A replica watches is a gift that will be treasured for years, and your thoughtfulness will be remembered each time this timeless piece is used. Choosing a rolex replica uk from a brand leader like Invicta guarantees your replica watches sale will be appreciated for years to come. Long years back, There was a time when rolex replica or timepieces were one of the human technological achievements. As the original development of mechanized timepieces or replica watches uk are in the form of pocket Watches mainly in the 16th century, the Watch industry has farmed in placement with the high end jewelry market. When Diamond Jewelry and replica watches sale set out to become highly popular near around the early age of the 20th century, it was only a count of time before the two would be consolidated together to create Diamond watches.